On March 7, 2019, the Florida 1st District Court of Appeals addressed “what happens when a workers’ compensation claimant seeks care from a doctor who—as a condition of continued treatment—demands compensation above and beyond the statutory limits.” See Marine Max, Inc./Seabright Ins. Co. v. Blair, Case No. 1D17-3926 (Fla. 1st DCA March 7, 2019). The employer, Marine Max, Inc., appealed an order from the Judge of Compensation Claims requiring them to “authorize and pay” a workers’ compensation physician who demanded payment above the limits the Florida legislature imposed and further demanded pre-payments before seeing the claimant. Id. In Marine Max, the claimant sustained injuries in 2010 when he fell off of a ladder. The employer/carrier authorized Dr. Jonathan Yunis of Vascular Associates, who provided medical treatment from 2010 and 2014, at statutory rates and higher rates. Id. In 2015, Dr. Yunis left that practice to start The Center for Hernia Repair and in 2017, the claimant filed a Petition for Benefits seeking continued medical treatment with Dr. Yunis at the new practice. Id. While attempting to set a new appointment with Dr. Yunis, the adjuster learned that The Center for Hernia Repair required payment above the statutory rates. Additionally, pre-payment for the medical treatment was required. Id. The employer/carrier therefore authorized medical treatment with an alternative physician who accepted the statutory rates and scheduled an appointment for the claimant, however, Mr. Blair refused to attend, on the advice of his attorney. Id. The claimant “argued that he had an existing patient-physician relationship with Yunis and that Marine Max could not interfere with that relationship by ‘deauthorizing’ Yunis, without statutory authority.” Id. citing City of Bartow v. Brewer, 896 So.2d 931, 933 (Fla. 1st DCA 2005.) He asserted that the statute permitted “deauthorization only if the claimant is not making appropriate progress in recuperation...or if the provider was engaged in a pattern or practice of overutilization.” Id. citing Florida Statute Sections 440.13(2)(d) and 440.13(8)(b)(2). The claimant argued that Dr. Yunis’ outright refusal to accept the statutory fee schedule did not justify deauthorization of him. Id. The Judge of Compensation Claims agreed with the claimant and held that the employer/carrier’s authorization of a new physician in lieu of Dr. Yunis was “tantamount to a unilateral deauthorization.” Id. citing Brewer, 896 So.2d at 933. The judge therefore held that the employer/carrier had to continue to “authorize and pay” Dr. Yunis, which led to the appeal by the employer/carrier. Id. The Florida 1st DCA agreed with the employer/carrier that the JCC had no authority to order it to pay Dr. Yunis, in excess of the fee schedule. The court noted that per Florida Statute Section 440.13(7), the Florida Department of Financial Services has exclusive jurisdiction over reimbursement disputes, citing Cook v. Palm Beach Cty. Sch. Bd., 51 So.3d 619, 620 (Fla. 1st DCA 2011). The Florida 1st DCA went on to opine that even if the JCCs had jurisdiction to resolve payment disputes, Florida Statute Chapter 440 pertains to “reimbursements” and thus does not compel pre-payments. The Florida 1st DCA then concluded the JCC was correct, however, to order continued authorization of Dr. Yunis. The court held that the JCC’s award of medically necessary care “is to be made without regard to the possibility that a payment dispute might arise between the employer and the provider,” citing Tiznado v. Orlando Reg’l Healthcare System, 773 So.2d 584, 585-586 (Fla. 1st DCA 2000.) Because the claimant had established a satisfactory patient-physician relationship with Dr. Yunis, the JCC opined that the employer/carrier had not “established a valid reason for deauthorization of Dr. Yunis under these circumstances.” The employer/carrier’s continued authorization of Dr. Yunis was “reasonable” and “medically necessary” per Florida Statute Section 440.13(2)(a). In summary, the Florida 1st DCA held that the JCC cannot order an employer/carrier to pay in excess of fee schedule, and cannot compel an employer/carrier to issue prepayment to a medical provider. The court also held the JCC cannot force a physician to provide medical treatment the physician does not wish to provide. It held that the employer/carrier must continue to authorize Dr. Yunis, but all the authorization does is allow the physician to demand compensation, if he chooses to treat the claimant. If the physician elects to provide treatment, his authorization will permit him/her to seek compensation per the fee schedule under Chapter 440. If the physician and the employer/carrier reach a different payment agreement, the physician can operate under that agreement. But if the physician is unwilling to provide treatment due to the fee schedule limitations on compensation, he/she cannot be forced to do so. However, if the claimant concludes that any ongoing refusal to treat means the physician “is no longer a viable option,” the claimant can seek authorization of a replacement physician. Id. ; see also Lewis, 447 So.2d at 406. Therefore, an employer/carrier cannot deauthorize a workers’ compensation physician who demands pre-payments above the statutory fee schedule. 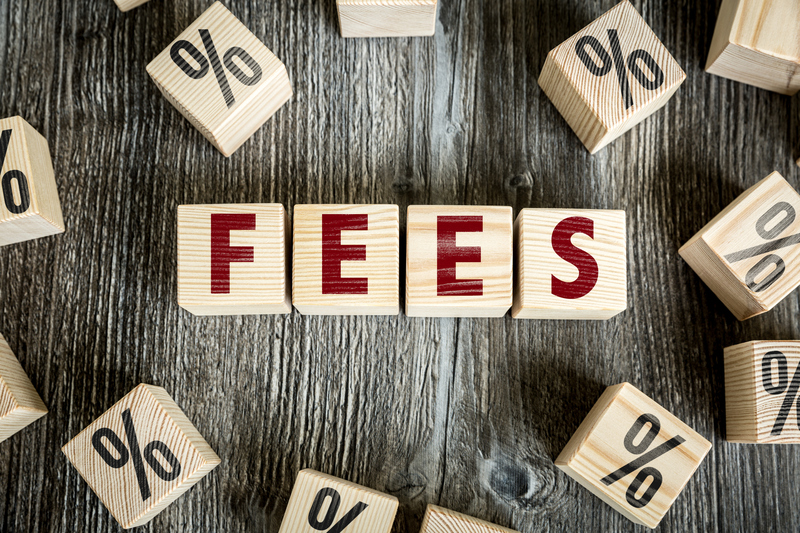 However, the Florida 1st DCA held that JCCs lacks jurisdiction to compel an employer/carrier to pay medical treatment fees above the statutory fee schedule. When scheduling an appointment for a claimant, remember that there is no authority requiring an employer/carrier to prepay a physician above the statutory fee schedule in order to avoid a potential disruption in the physician-claimant relationship. Additionally, when you are in receipt of a Petition for Benefits seeking payment of a physician’s bill above the statutory fee schedule, remember that the Judge of Compensation Claims lacks jurisdiction as the Florida Department of Financial Services has exclusive jurisdiction over reimbursement disputes.